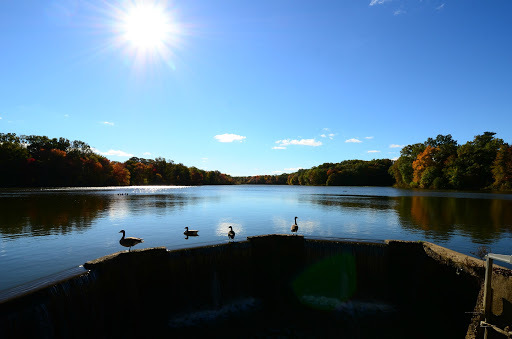 Some days, it pays to be from New Jersey. Yep. Even if the City* is just over there, beckoning with light and excitement – sometimes the hottest place in town is actually in Joisey. Consider October 30, 1938. Martians, looking for a good cup of joe, landed not far from Grover’s Mill in their quest to quench their thirst. (It’s only a rumor that they like blood: java is more like it.) Our investigative reporters, seeing that this location continues to be a hotbed of extraterrestrial activity, wanted to know… why? What’s your take on the water tower controversy? Did the same farmers that looked at it daily shoot it – or do you think Bloo Blork, Martian coffee expert, had something to do with this event? Here at Grover’s Mill Coffee we are certain we know exactly what happened at the tower. Though it is true that local farmer William Dock shot the water tower, it was NOT because he thought it was an alien tripod. The truth is that Broo Blork was on a mission from Mars to search earth for the best coffee and return it to his home planet. 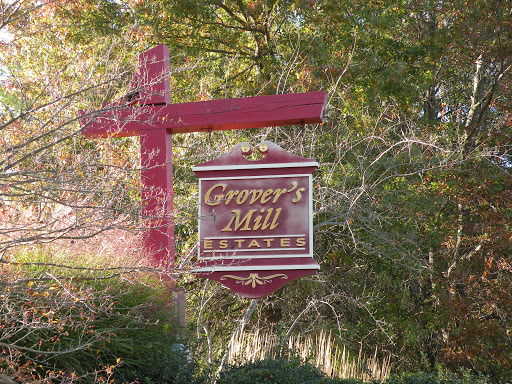 Broo’s alien sense of smell brought him straight to Grover’s Mill, NJ. It was here that Grover’s Mill coffee was discovered, as well as Broo Blork. Upon finding Broo with his cup of joe, panic broke out and shots were fired, piercing holes in the water tower. No need to worry though, Broo made it back safely to Mars where they now have the best coffee, and the locals here in Grover’s Mill NJ enjoy it just as much! On Audio Drama Day, October 30th, you have Radio Once More rejoining you for a live broadcast to talk about the “War of the Worlds” broadcast anniversary. Can you tell us more about the regional performers who will be coming to celebrate Halloween at the coffeehouse? What else can visitors who come to Grover’s Mill after Halloween expect to see, in the way of performances? On Halloween 2016 we will be hosting our live WOTW reenactment with actor Michael Jarmus, with live music by our house band 3-26. Michael is a retired radio announcer and current actor who will bring the “War of the Worlds” radio broadcast to life (which includes audience participation). Our house band 3-26, Rodney & Eva will then follow up with a live music jam of the Rocky Horror Picture Show. 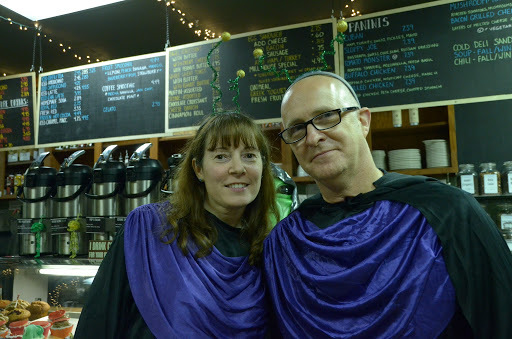 In the past we have had Martian sightings at our events. We encourage our patrons to attend in alien costumes, but we must admit sometimes it is difficult to tell if they are really costumes! After Halloween is over, we have Open Mic night every Thursday night at 7:00pm , we host a Comedy Night every 3rd weekend of the month hosted by Helene Angley (winner COMIC OF THE YEAR – Woodstock Comedy Festival), as well as live weekend performances throughout each month. Not everyone can make it out to Grover’s Mill Coffee this season, but you do offer gift baskets, T-shirts and 100% arabica coffee, among other items that can be ordered online. Is there a particular blend you recommend radio fans start out with, while enjoying scary audio drama? ABSOLUTELY! What would “War of the Worlds” celebration be without our handcrafted “Martian Mocha Java”? Word has it this is the drink of choice amongst Alien Beings. You have a special espresso blend – Orson’s – that Welles himself would have enjoyed, seeing as he preferred to be caffeinated at all times. What would you recommend to the odd extraterrestrial that can’t tolerate coffee? For our non-coffee extraterrestrial fans we would recommend our Royal Red. This is our decaffeinated red tea specialty which represents the Red Planet’s inhabitants. It is a caffeine free rooibos espresso drink, a Red Planet Royalty delight. And … can you tell us… How do the Martians take their coffee? 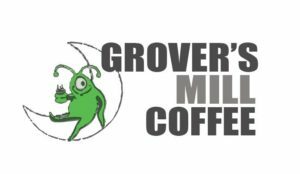 We have received communication that the Martians take their Grover’s Mill coffee with just a touch of milky way dust.